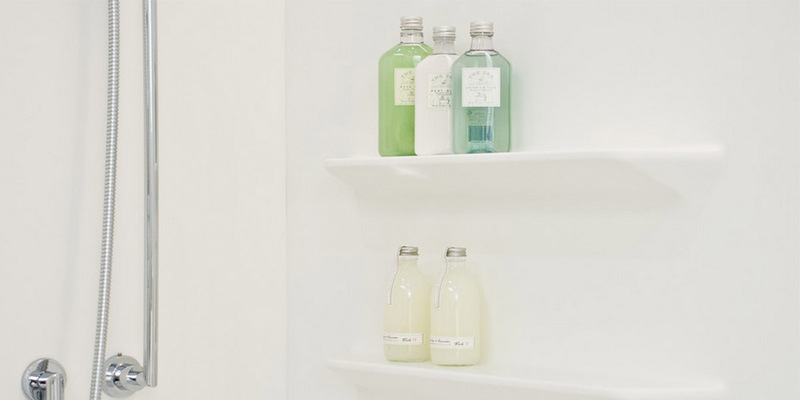 and hygienic solutions - and the highest quality materials. We service the following areas in California: Palm Desert, Palm Springs, Cathedral City, Ranch Mirage, Indian Wells, La Quinta, Indio, Sun City, Coachella Valley and surrounding areas. 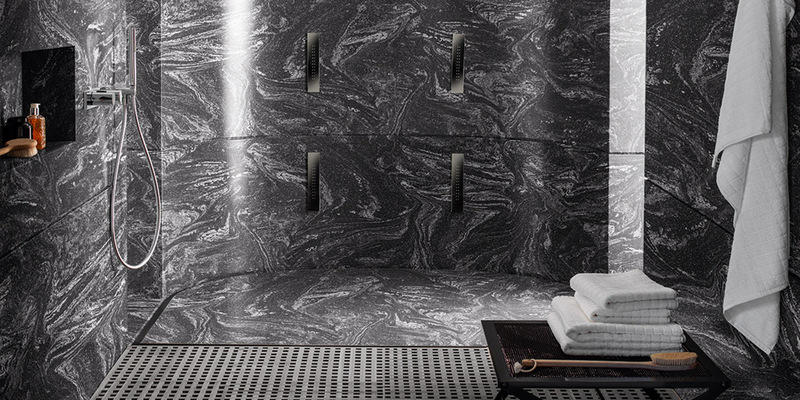 Do your bathtub tile walls have mold build-up that requires harsh chemicals to keep clean and hygienic? 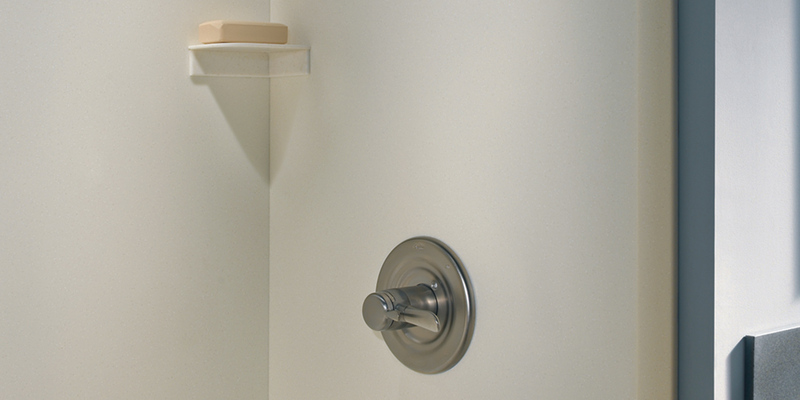 Our Corian® tub shower walls are the perfect solution. 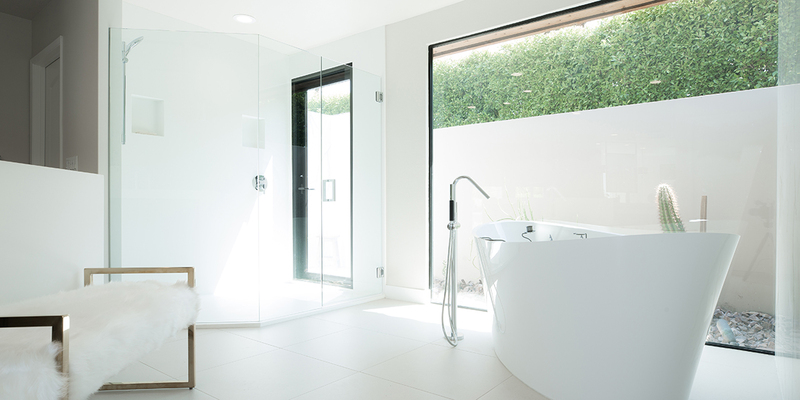 Our process offers solutions to create your dream bathroom remodel— featuring a low maintenance, seamless, water-proof and hygienic space. 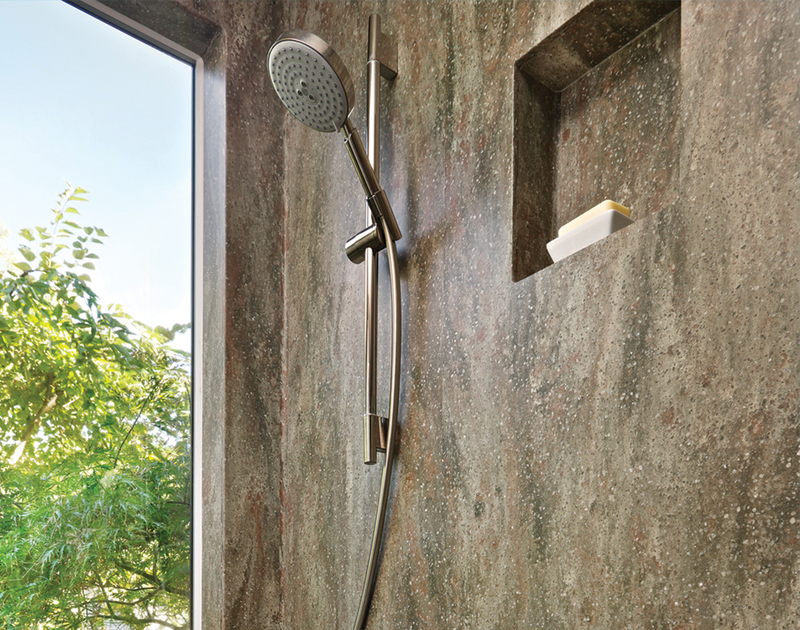 Our customized approach ensures that your new tub showers walls fit seamlessly onto your existing wall. Our seamless application eliminates grout lines resulting the need for harsh cleaning chemicals. 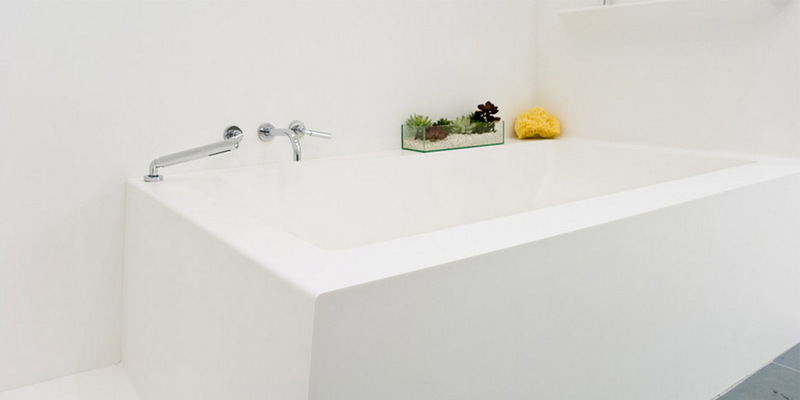 Our team of professionals can have your bathtub walls replaced in as little as a day! 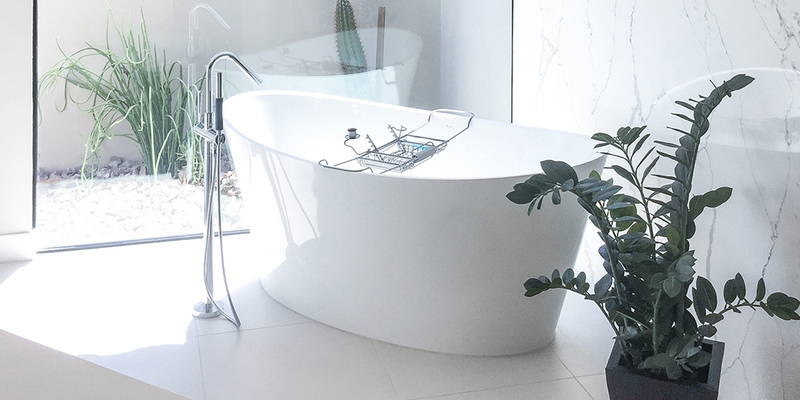 Rarely use your tub, looking for more space, tired of stepping into and out of a tub? 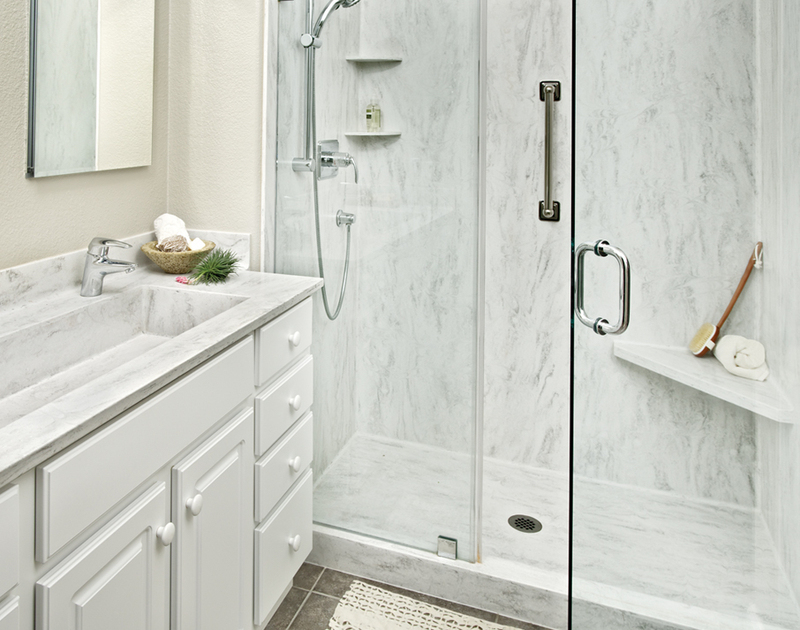 Converting your tub to a full, easy access shower, might be the right option for you. 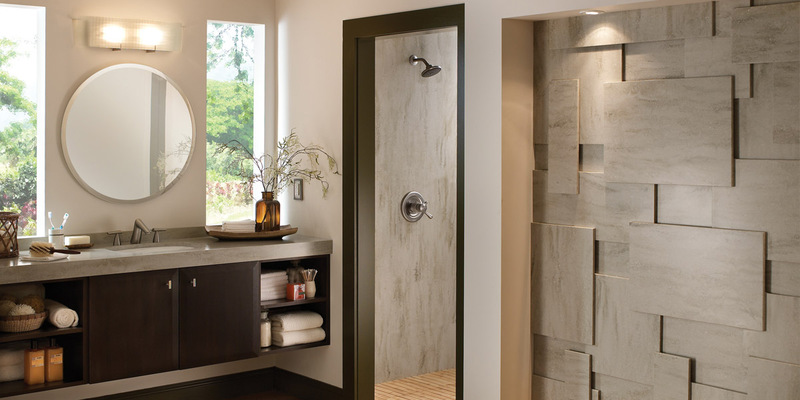 Our team can help you build a new shower that can be better suited for you needs, add function and maximize your space! 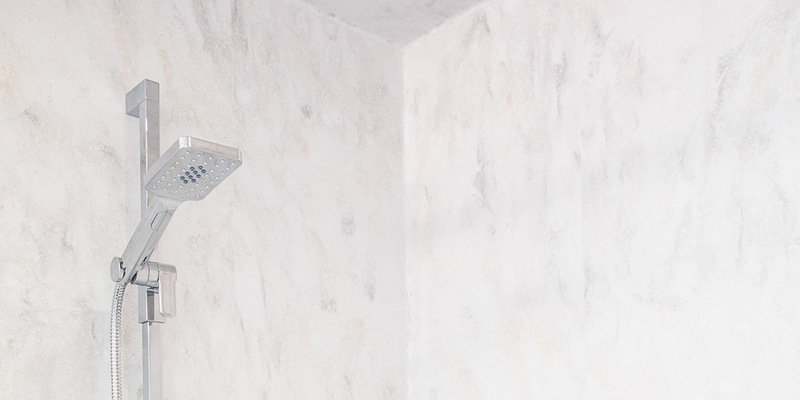 Our coved corner solution offers a 100% water-proof application. 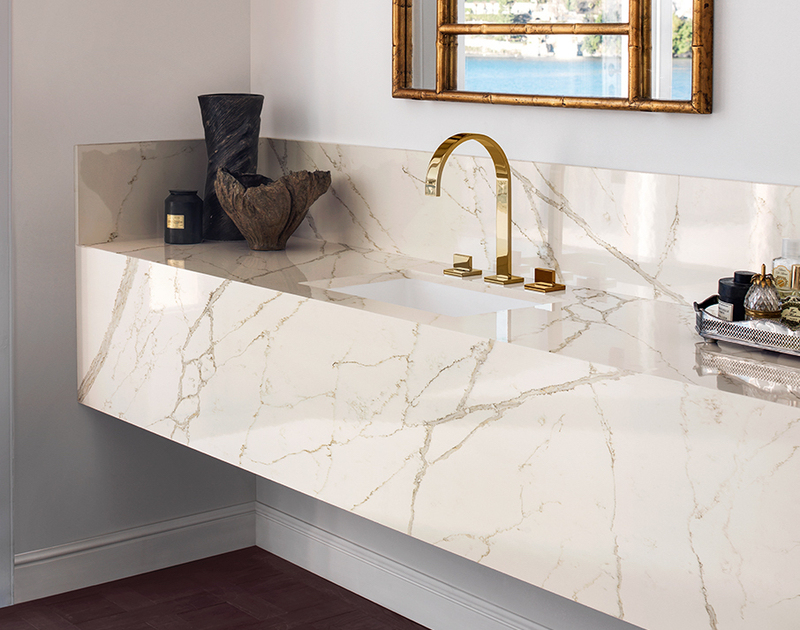 Create inspired Corian® Solid Surface or Corian® Quartz vanity countertops that flow smoothly into Corian® sinks and backsplashes bringing imagination and practicality to your design. 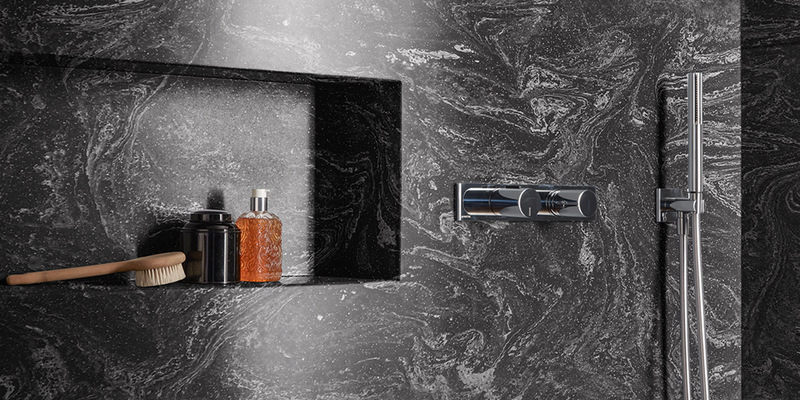 With Corian®, you get the ultimate freedom of expression in bathroom design, combining enduring beauty with valuable functionality. 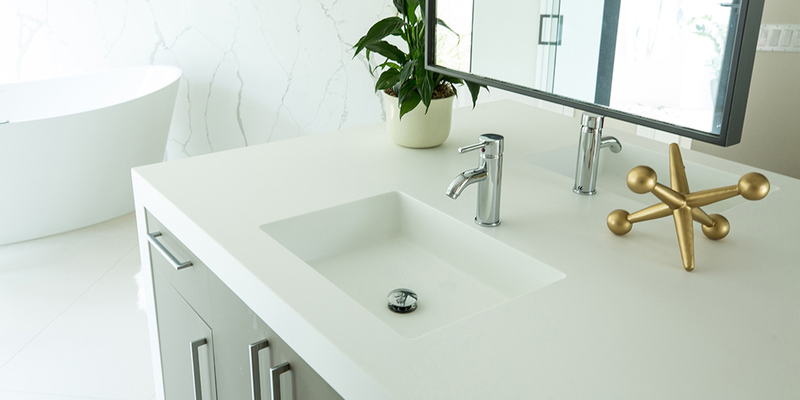 Complete your bathroom dream oasis by incorporating a hygienic, low-maintenance Corian® Solid Surface or Corian® Quartz tub surround. 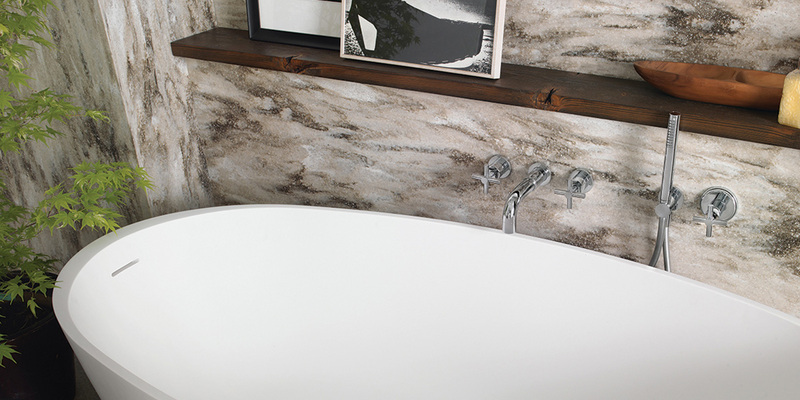 An often-overlooked aspect in bathroom design, tub surrounds are an excellent way to add storage for linens, reading materials, or just whatever - add this finishing touch that brings your space to life. With nearly 200 color options and the promise of a seamless, low-maintenance solution, what’s not to love? 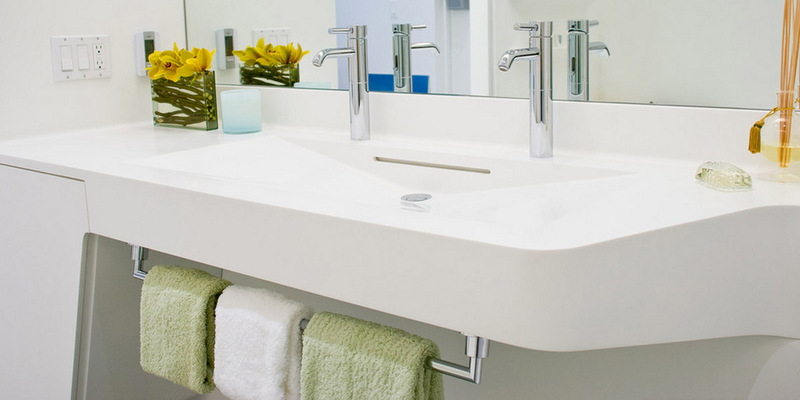 At Corian® Bath Surfaces, we specialize in helping you create a distinct and individual bathroom escape which includes showers, vanities and tub surrounds. 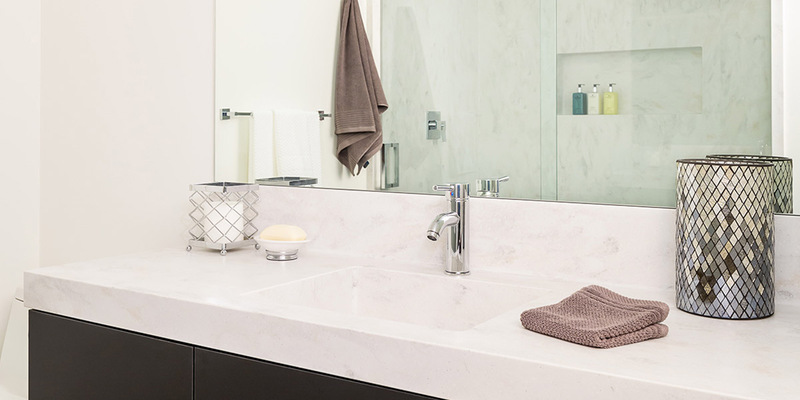 Corian® Bath Surfaces will provide you solutions to create your dream bathroom— featuring low maintenance, seamless, water proof and hygienic materials at the highest quality. By choosing to work with our team of experts, we will help make your vision a reality. 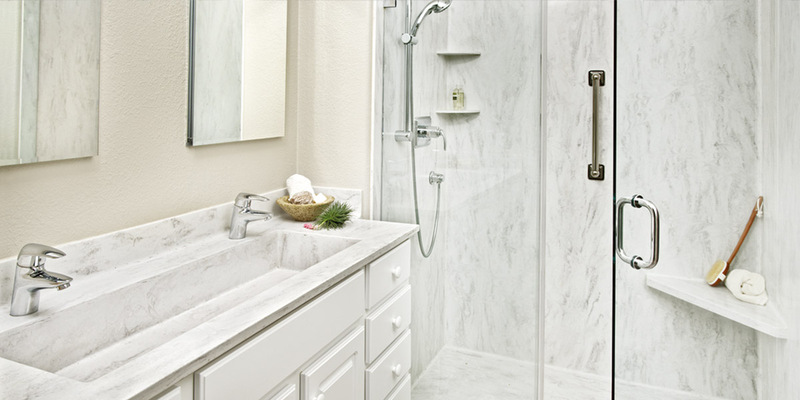 From simple to luxurious, we specialize in cladding shower walls, tub surrounds, floors, vanity countertops and sinks. We service the following areas: Palm Desert, Palm Springs, Cathedral City, Ranch Mirage, Indian Wells, La Quinta, Indio, Sun City, Coachella Valley and surrounding areas. This mid-century modern endeavour aimed to mesh the design of an indoor spa-like bath with a stunning outdoor shower area - and it delivered. 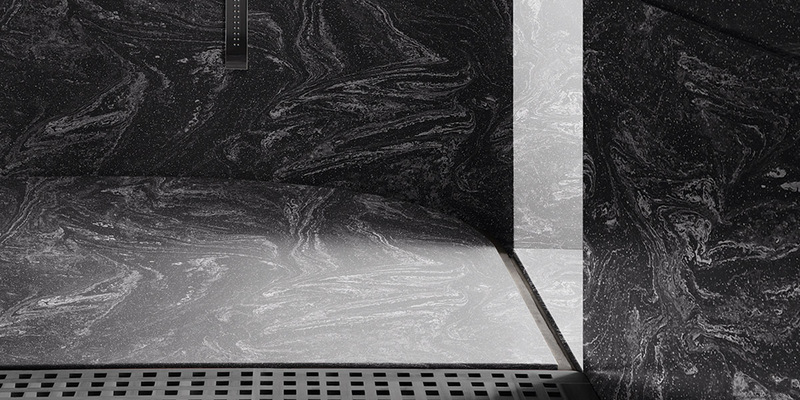 How do you design a shower that's as expansive as the cosmos? 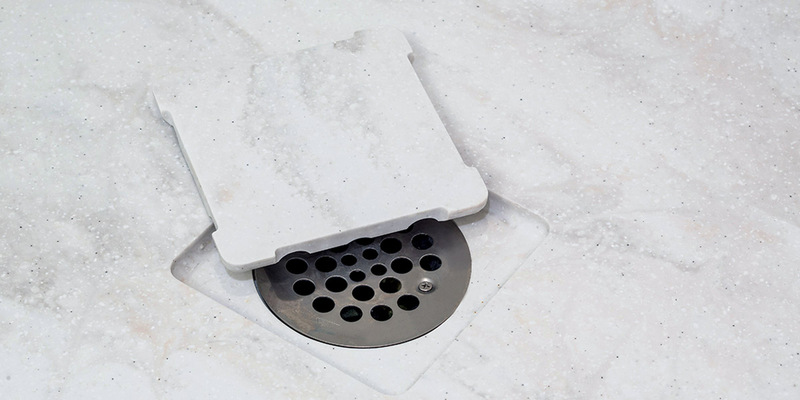 Clad it with watertight, mold & mildew-resistant Corian® solid surface. 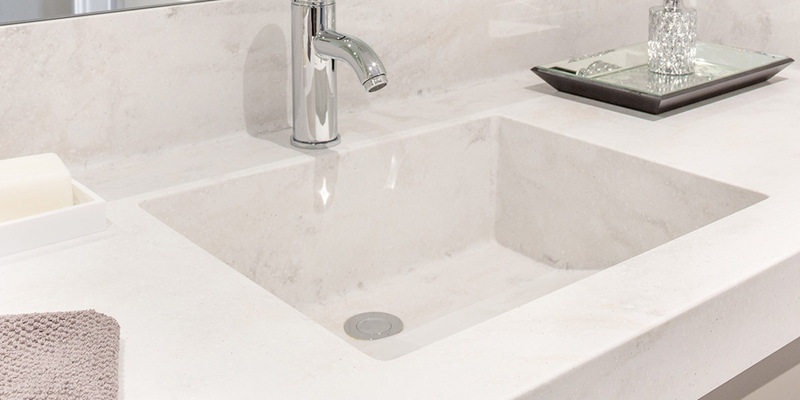 This Corian® solid surface tub surround - which extends beyond the tub area to function as the adjacent wall cladding - provides both durability and dramatic depth. Wanting a more simplistic bathroom design, this homeowner opted for a minimalistic look without sacrificing anything in terms of function. 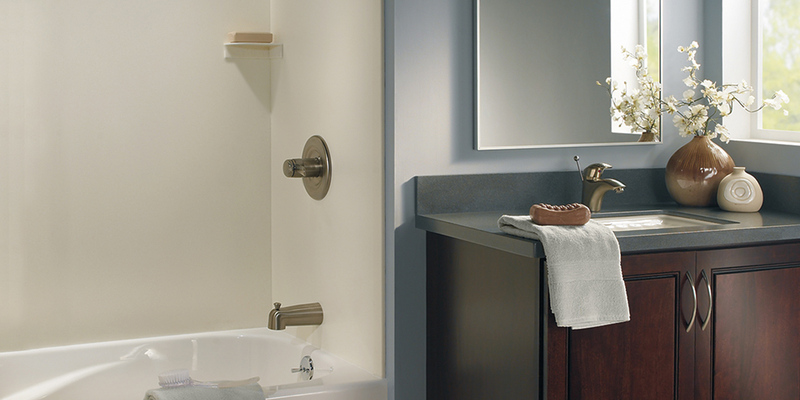 Creating a tranquil, easy-to-maintain environment was the homeowners top priority for the renovation of this bathroom. 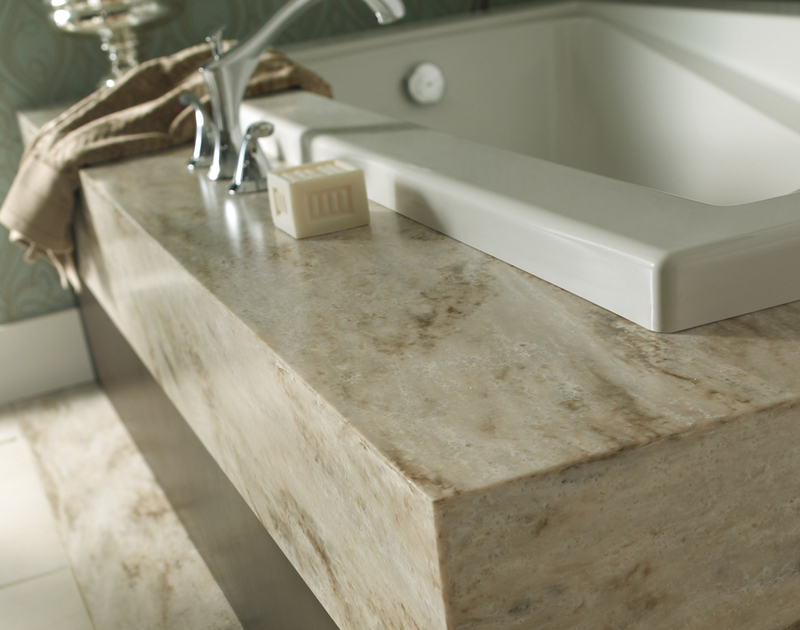 Corian® solid surface can be used for more than just vanity and shower applications. 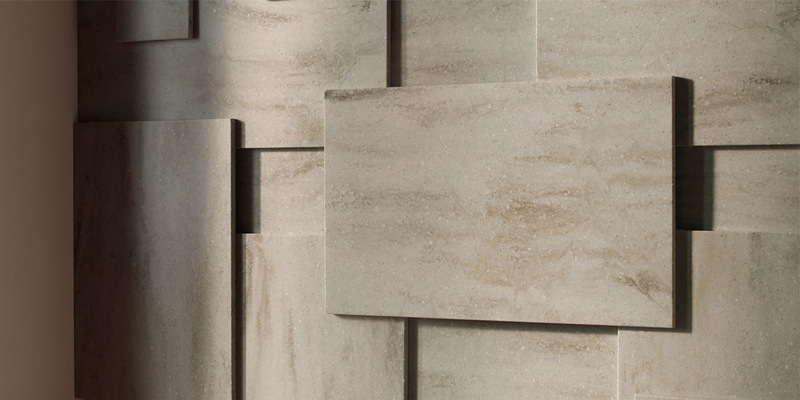 This homeowner got creative and incorporated an intriguing feature wall with layers of Corian®. Custom features were key in this bathroom remodel, including integrating Corian® shelving, a custom tub and a curving vanity top. A previously mold-ridden bath area was turned into a gorgeous, monolithic shower - complemented by the matching custom vanity trough sink. 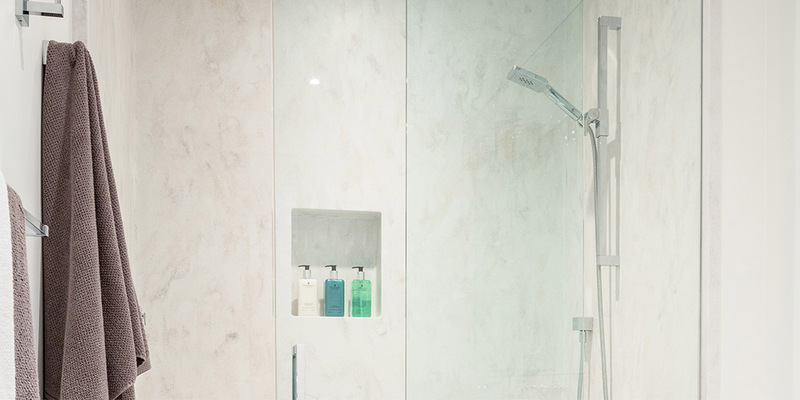 Corian® Bath Surfaces solutions that are featured in this space: seamless Corian® solid surface shower surround, his & hers Corian® solid surface vanity with integrated sinks, Corian® Quartz feature wall & outdoor shower. 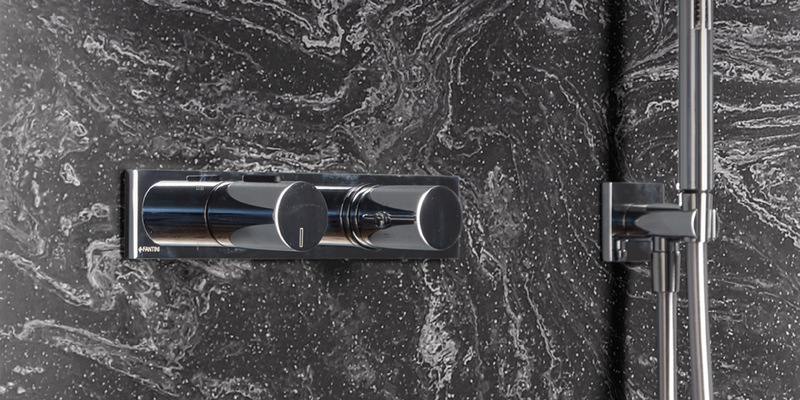 Corian® Bath Surfaces solutions that are featured in this space: seamless Corian® solid surface shower surround, Corian® solid surface vanity with integrated sink. 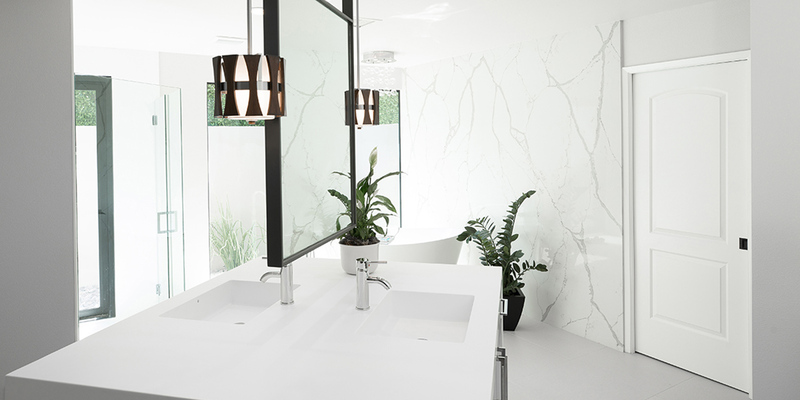 Corian® Bath Surfaces solutions that are featured in this space: Corian® solid surface vanity, Corian® solid surface shower surround, Corian® solid surface feature wall. 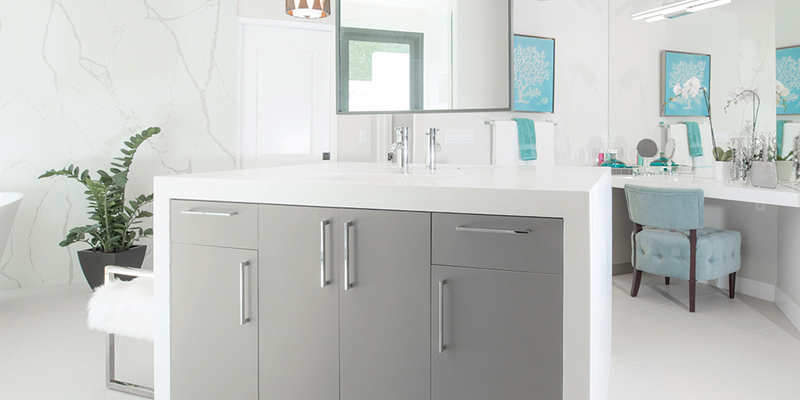 Corian® Bath Surfaces solutions that are featured in this space: Corian® solid surface vanity with custom sink, Corian® solid surface shower surround, Corian® solid surface tub. 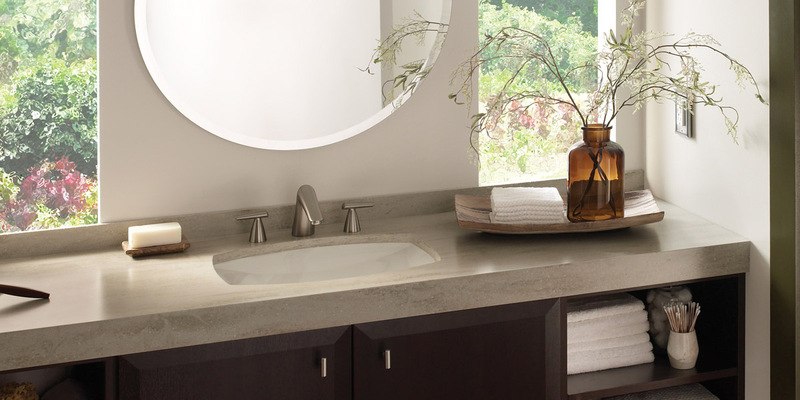 Corian® Bath Surfaces solutions that are featured in this space: Corian® solid surface vanity with custom trough sink & Corian® solid surface shower surround. 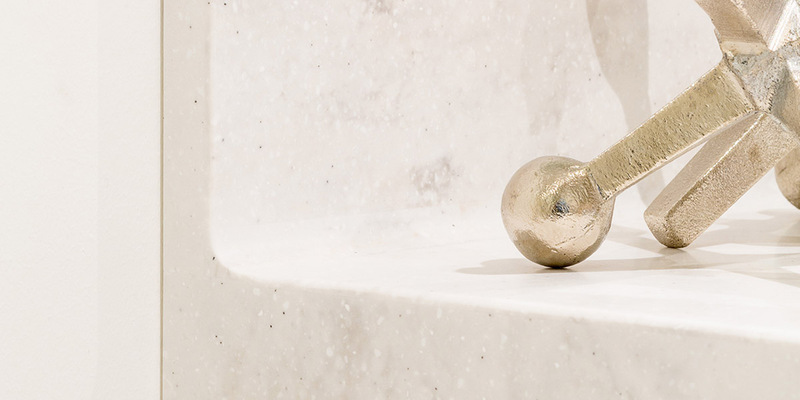 At Corian® Bath Surfaces, we have chosen to partner with some of the world's best and most trusted products and materials as well as local businesses to provide you the highest quality service and experience.